In opting to reboot the Spider-man franchise only a handful of years after it’s most recent installment opened to widespread dissatisfaction, those in charge of taking it forward were in quite the awkward position. Many fans of the Spidey franchise deplored the colossal misfire that was Spider-Man 3, yet few felt enough time had passed to warrant a complete reboot of the saga. Meanwhile the superhero genre was exploding and suddenly the adventures of Peter Parker seemed to be old hat in comparison to the wry wit of Tony Stark, the forthcoming powerhouse of the Avengers initiative and the sombre epic ebb of Nolan’s new-Gotham. And so Marvel turned to relative newcomer Marc Webb, fresh off his unconventional yet critically acclaimed rom-com (500) Days of Summer, in the hopes of crafting something equally new and unique, yet a movie which was still able to honour the brand, appease the fans and draw in the crowds and figures the character usually commands. Hiring Webb (no lingering on the irony of his surname... oh, wait...) proved to be an inspired choice, for his superb instincts for character so evident in (500) days shines through in The Amazing Spider-Man and helps bring what deserves to become the definitive interpretation of it’s central character to the big screen. 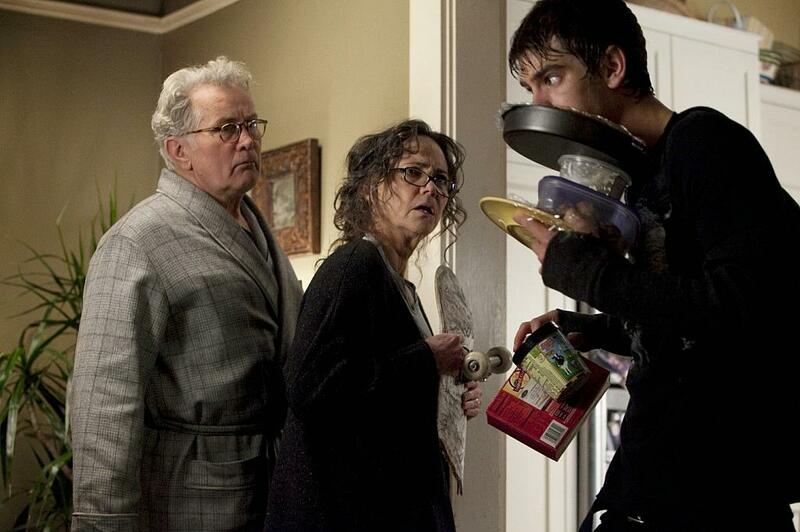 Much of what we see in the film is a re-tread or re-imagination of what has come before during Raimi’s tenure, making some of it a little overly familiar and redundant for any who are fans of the original, and in some scenes you can almost sense the cast and crew awkwardly sidling around what has come before or the writers banging their heads over copies of the 2001 screenplay looking for alternate ways around key moments or ideas. 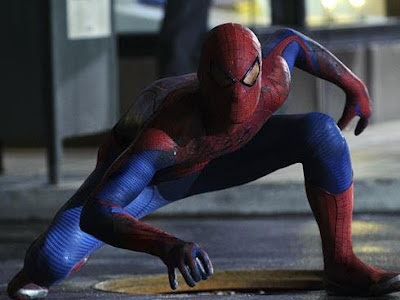 However, despite the film re-treading plenty of not-particularly-old ground and walking over the freshly dug graves of Tobey Maguire and company, there is an authenticity and conviction here that makes The Amazing Spider-Man a worthy successor and certainly deserving of its own audience and subsequent franchise. 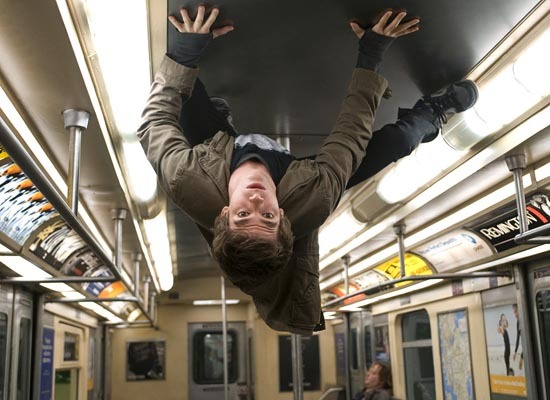 Immeasurable credit has to go the supremely likable Andrew Garfield, who brings an effortless charm and trademark boyishness to Peter Parker, and whilst he dishes out Spider-Man’s trademark one-liners and put-downs with relish and charisma once finally suited up, as with much of the film the more heightened comic-book elements are somewhat toned down in favour of a more sombre and pensive tone, and Garfield handles the grit and emotional shifts of the film with real aplomb. Emma Stone is similarly delightful as Gwen Stacey, Parker’s love interest, and thankfully her role in the film, including the relationship with her father as Police Captain (so gunning for the costumed vigilante that has turned New York into his playground) and her being apprentice to the films chief-antagonist-to-be Dr Curt Connors (Rhys Ifans) allows her to feel like a far more integral and natural part of the narrative than the likes of Kirsten Dunst’s Mary Jane in the Raimi films. The performances of the two leads really helps elevate the film above otherwise surprisingly pedestrian film-making, with immediate chemistry between the two characters and a satisfyingly progressive development of their relationship that does not feel the need to lean too heavily on the possibility of a sequel or two. The rest of the cast do a solid job of grounding the film despite having relatively little to do. Martin Sheen and Sally Field are perfect as Peter’s Uncle Ben and Aunt May, though as mentioned they are sidelined by a script which is forgivably more centralised on Peter and Gwen. Fans of the series may also be disappointed to learn that trademark characters and locales, such as The Daily Bugle and it’s editor-in-chief J. Jonah Jameson are nowhere to be found (though there are some knowing references to the likes of the Osbourne family), but again, it is time spent on crafting a thankfully very convincing and effective central relationship. Rhys Ifan’s villainous turn as Dr Curt Connors/The Lizard is a little too familiar in regards to a scientist/mentor figure attempting to do good yet falling victim to his own work, though the CG work done on the character and his physicality certainly makes him a passable adversary and one that can duke it out well with Spider-Man for some solid showdowns. There’s also some neat light-horror elements with Connors’ transformation, and one or two clashes between our hero and villain which do a neat job of visually reminding us of the animal DNA at work within each of them. Despite its solid cast, the films more centralised approach in combination with the more muted tone means that some of the energy and spark synonymous with the character and series does feel a little sapped, with some of the more outlandish comic-book elements that remain (for instance its villain) feeling somewhat disconnected or forced in the more earthy and naturalistic New York city Webb presents. At times it is hard to shake the feeling that for all the fun Garfield has with the role and some genuinely entertaining moments even removed from Spider-Man himself (don’t interrupt Gwen Stacey when she’s in her room), Webb and the team may have ventured a little too knowingly towards Nolan territory for their own good, diluting their script and universe and leaving something of a tonally-inconsistent movie as a result. 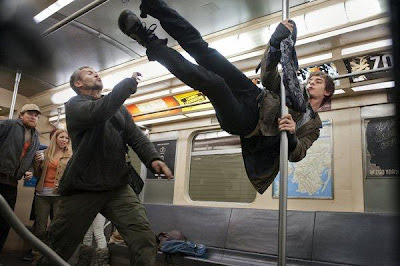 The films action is somewhat sporadic and relatively sparse in comparison to the likes of say, The Avengers, and strangely it is the city-traversing, web-slinging leaps of faith that are some of the films least enthralling moments. It is all far too familiar and frequently hampered by an over-zealous attempt to experiment with camera and perspective; much more satisfying and engaging are the less grand yet equally showy fight scenes - from a terrific first demonstration of Spidey’s abilities on board a subway train, to a school clash with the Lizard that features a terrific cameo that will be expected yet no less appreciated by Marvel fans. These more focused scenes are brilliantly vibrant, much less reliant on CGI and feature some very impressive stuntwork and choreography without any telling signs of wirework or forced editing in sight. 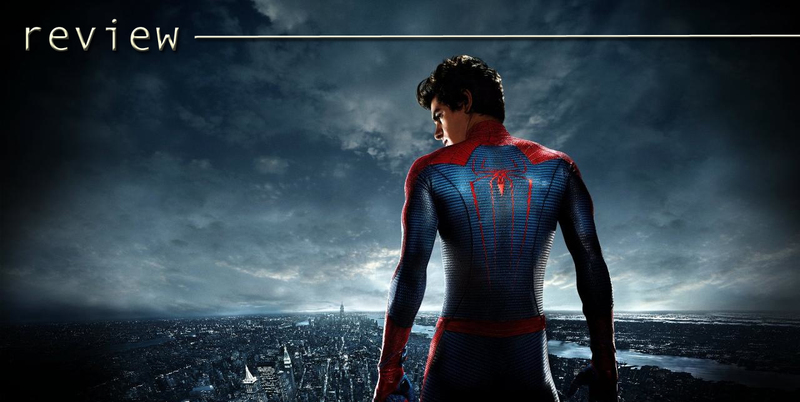 One particular scene pitting Parker (not yet fully suited as Spider-Man) against a group of thugs in a series of back alleys sees him leap, twist and vault through walkways, across rooftops and up buildings with remarkable authenticity and is a perfect realisation of the characters physical abilities and a thrilling sequence to watch. Even some of Peter’s first scenes dealing with the pitfalls of his new super-strength have some great physical comedy and kinectic invention to them. Finally, particular credit must also be given for the myriad of ways in which the writers and director present Spidey and the audience with a fight or challenge outside of his comfort zone - be it sustaining injuring, unable to use his web-slinging or even dragged underwater (all three being separate situations). There is plenty to admire and enjoy about The Amazing Spider-Man, most notably a terrific central performance and a core relationship which is both believable and winning, and it is far from the disaster many expected from a forced reboot so soon. The younger audience in particular will eat it up (provided they do not become impatient with the more measured pacing) and in all honesty despite a narrower focus it does stay true to the franchise and it’s fans. There are times when Webb’s lack of experience within the genre is evident, and the whole film seems more muted and notably less exuberant than many come to expect from the Spider-Man character and universe. It is in many ways one of the films most curious and interesting reversals; for with (500) Days of Summer, Webb gave a vibrant, postmodern and imaginative take on a fairly rudimentary story, and yet here the polar opposite is true - a more spectacular and fantastic story is tempered down and made into something that cannot exactly be called mundane, but if truth be told, is not altogether deserving of being called Amazing either.